China Unicom is China’s second-biggest carrier. Just how big? How about bigger than any single carrier in the United States? 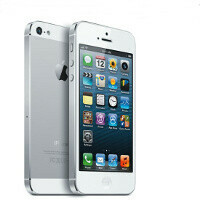 With 125 million GSM and 43 million CDMA subscribers, it getting the iPhone 5 is big news. Even bigger is the fact that since preorder reservations for the iPhone 5 went live, in less than a single day over 100,000 people have pre-ordered. The iPhone 5 will arrive on the carrier on December 14th. Those pre-orders however are not backed by any kind of down payment, all that is required to pre-order the device is an ID card and a telephone number. Interestingly, China’s and the world’s biggest carrier, China Mobile still does not offer the iPhone 5. If Cupertino secures a deal there it might get a huge opening. Even without China Mobile officially offering the iPhone, there are now over 15 million iPhones on it, much like there are on T-Mobile. Congratulation! Apple should just stick to mading and selling great product. Getting paid from the sueing business is like drawing blood from stone. So much time and effort for so little gain. 100,000 people in China will soon find out how restricted their "smartphone" is compared to ZTE, Huawei and Samsung offerings. what the hell is your profile picture?! It is an artwork by an artist using his ipad, nice eh? You like? Wooow! That's huge! Especially considering that China has a population of only "2011 estimate - 1,347,350,000"
well done. that's what I was about to write, but I guess I would not write it as good as you. I thought asians are smart. Why would they go for iphone? Right! And you're probably one of those people that think having an iphone makes you soooooo cool that it guarantees you won't end up working in a McDonald's. Everyone will cheer for you when you'll enter a room and you'll hang out with actors and Victoria's Secret supermodels. Well..hold that thought while you hand me those nuggets! 100 000: equals a little village in China. As far as I remember, Xiaomi Mi-1s recieved almost 400000 pre orders in one day or less time. I'm curious how many will lost their organs in the process. 100,00 is small considering the population of china and most of those who ordered are probably going to sell them in the grey market.